A great present that you can give your kids for Christmas, or even their birthday, is a miniature electric train. 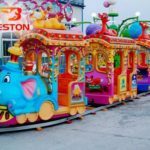 There is a fascination that most children have with trains that starts very early on, especially if you introduce them to trains in the form of a toy. 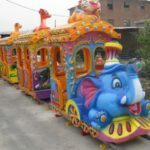 Most parents are also aware that many cartoons feature trains, some of which are watched by millions of children every year, leading to the purchase of similar toys. 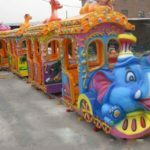 Here are some fascinating facts about many electric train rides that you ought to know, and why these are one of the best toys that you can ever get your children. 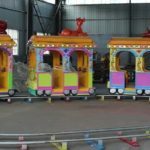 What Is A Miniature Electric Train? These are toys that were first created back at the turn of the last century, replicas of real trains that were motorized to some degree, functioning on a miniature track. Some of them were powered by a clockwork engine initially, or even steam, but as electronic parts became much smaller, the electric train was officially born. Carlisle and Finch was one of the first companies to make them, and as electric trains began to grow in sophistication, you could control them with a wired electronic control box. The train operator could cause them to produce smoke, add and remove train cars, and even add on a caboose. 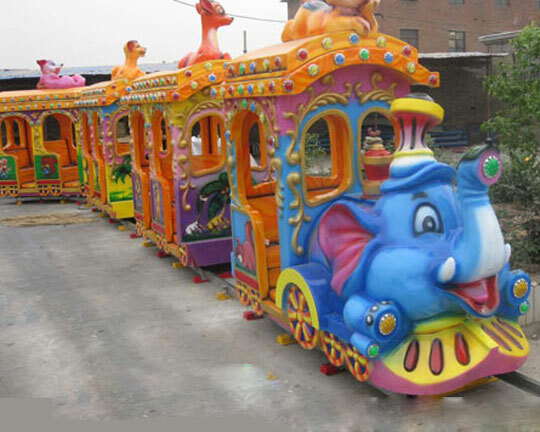 These trains were made of cast iron, but today they are made of primarily plastic. Model railroads were one of the most popular toys that kids would want for any occasion, even up into their teenage years. In the same way that any electronic car or plane operates, there is always going to be an engine that is able to drive the train backwards and forwards. There are many gears, and sometimes some form of combustion, usually in the form of smoke that is vaporized, creating the illusion of an old-style train with its plume of smoke coming out of the top. 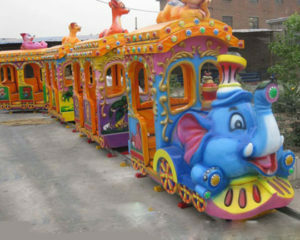 Electric trains are typically powered by some form of electricity, primarily rechargeable toys, although initial models were much more simplistic. They run on a track just like a regular training, pull cars, and can go forward and backwards on any style of track that is designed to ride on. 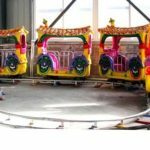 If you want to pick up a mini electric train ride, it’s actually very easy to do. The best deals will always be found on the Internet, and can usually be shipped the same day. 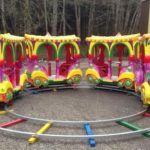 They are easy to assemble, and once they are fully charged, your children will be able to set up the track, ab the cars to the locomotive, and drive it around. There are some that do not use attract which can be driven over flat surfaces, usually not over carpet. You can get excellent deals from local stores as well, especially during the Christmas season. If your child has ever shown an interest in trains, this will be the best gift that you can give them. 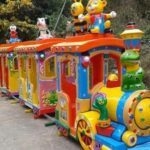 Although you could simply show your kids trains on the television, or even take them down to the local tracks where they could see an actual locomotive drive-by, it’s a great to provide them with a mini electric train ride that they can use as a toy, or perhaps even get a larger one that you can put into your backyard, that they can ride from time to time. 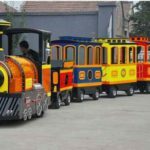 However, there is something about trains that kids absolutely love, and you can make your children very happy by investing in one of these miniature electric train rides that they will play with for hours.